Responsible journalism about bikers? Don't expect it. Sensationalism, misinformation, biased writing, those are the cornerstones of modern media. 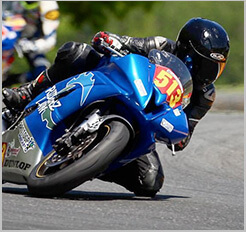 That's what we've come to know and loath from the press when it comes to motorcyclists, and particularly when it comes to motorcycle clubs. When a cop cars were planted with explosives in Riverside County a few months back, a motorcycle club was tried and convicted by the media, taking the baseless allegations of the cops and DA as gospel. When evidence came to light the motorcycle club had nothing to do with the attacks, the story was an afterthought. What a surprise. So when I saw the headlines today that read, "Female Motorcycle Rider Shot on 215 Freeway," and "'Green Machine' Motorcycle Club Rider Shot in Face," I should not have been surprised when I read the article. 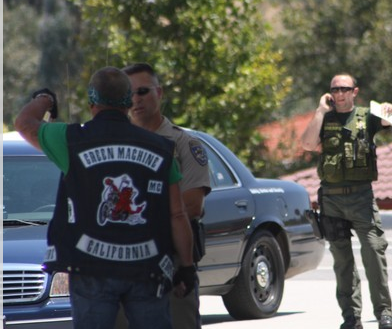 The gist of this story: A woman riding on the back of a Green Machine Motorcycle Club bike was struck in the face with a pellet after a road rage incident with an automobile in Temecula (Riverside County) California. That's right — she was shot in the face — with a pellet. Not really the same thing as "Rider Shot in Face" would imply. Don't get me wrong, I'm glad the police are investigating, and all that. I'm just wondering why they would use such blatently misleading verbiage. Wait, I take that back, the reason is clear — implying violence and death involving bikers sells papers, of course. But to me, that kind of nonsense is no different that the garbage spewed out by TMZ or the National Enquirer. On the bright side, they somehow refrained from referring to the motorcycle club as a "gang."